Learn how to make a DIY giant chalkboard with a vintage, schoolroom vibe… For under $20! I’m not proud of it, but I’ve always been a bit of a teacher’s pet. You know the kind… Straight A’s, obnoxiously perfect behavior (at least when the teacher was looking 😉 ), and first to volunteer to beat the erasers when she asked. And, of course, now that I’m a vintage-loving homeschooling mom, I couldn’t resist the addition of a giant chalkboard in our space. 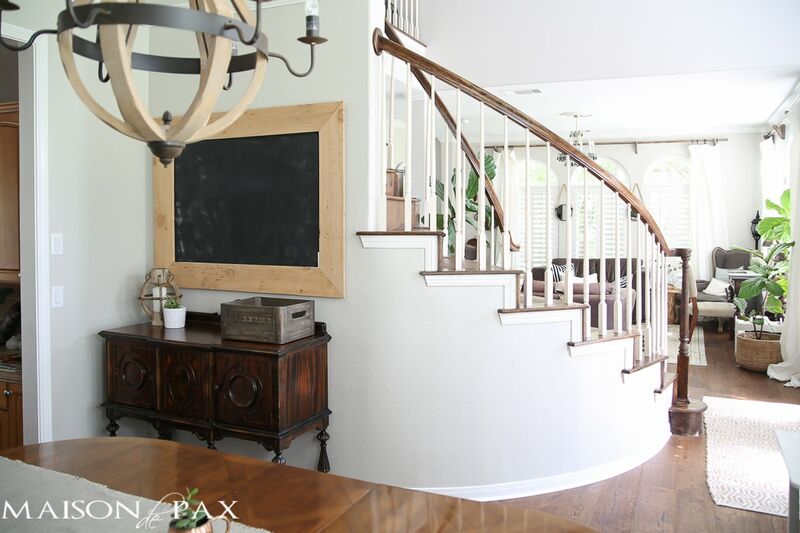 You can get a fuller tour of our schoolroom (and organization tips!) here if you’re interested. 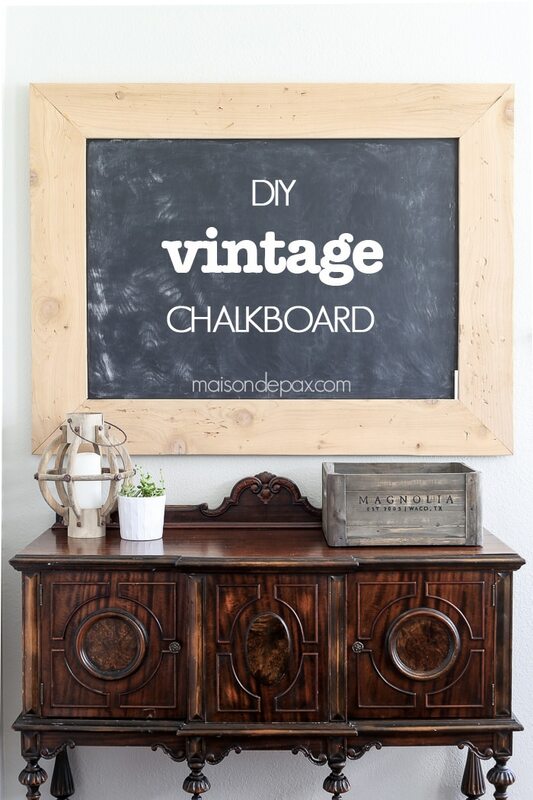 Now without further ado, here’s the promised tutorial for a giant DIY vintage chalkboard! 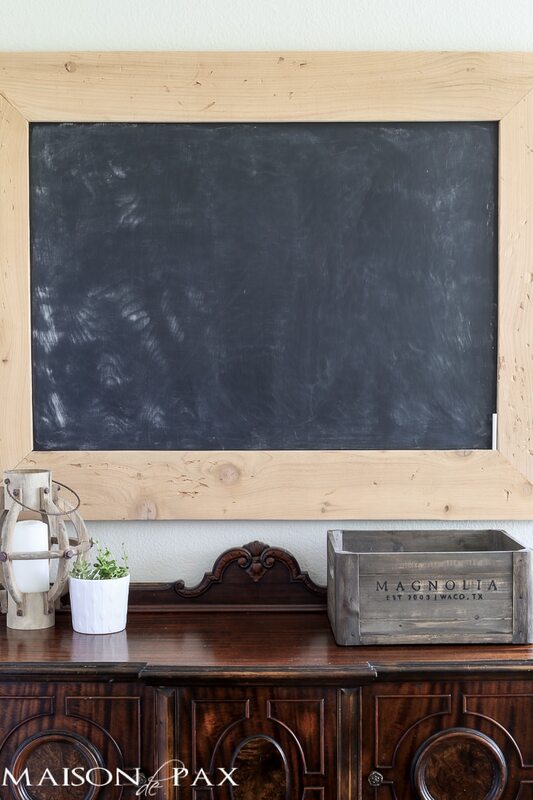 hang your chalkboard and be sure to “season” it (rub all over with chalk) and wipe off before you actually write on it! 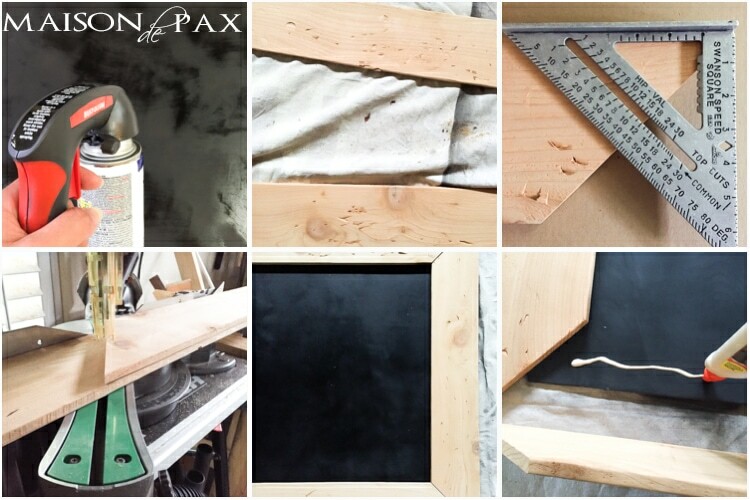 A few notes regarding the frame: if you do not have access to a miter saw (or the idea of angles frightens you), you can always use straight cuts; I just prefer the mitered look. It’s not difficult but your angles need to be accurate or it won’t work! 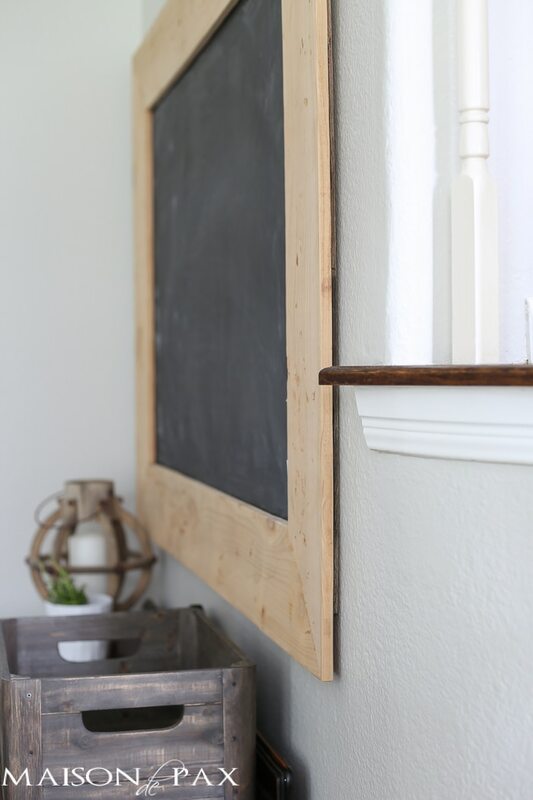 Also, you can adjust the frame size by a few inches (I made mine to fit this space exactly); just make sure you have enough overlap of your chalkboard to to secure the glue. 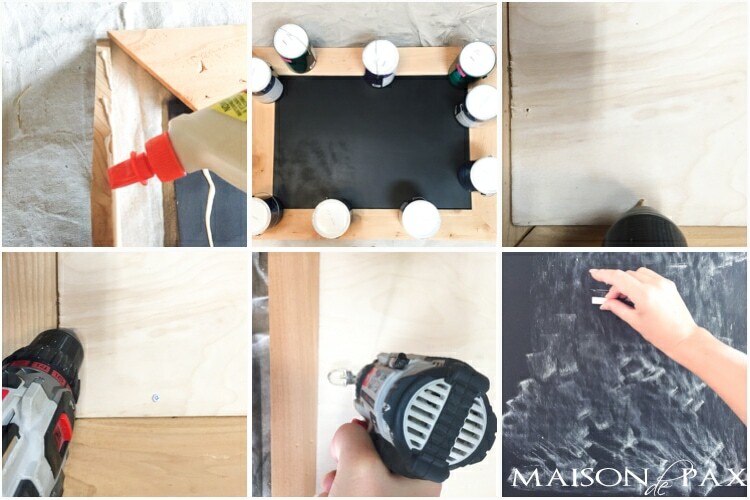 Finally, you can always route a groove into your frame so that the chalkboard sits inside the frame; for that matter, you can try pocket screws to secure your frame independent of the chalkboard (though these pickets are so thin I think it would be difficult)… but I think that’s the beauty of this. It doesn’t require fancy tools or difficult joinings (you could even use a miter box to cut the cedar pickets if you want). The edge of the plywood does, however, show behind the frame if you stare from the right angle, but I think it’s incredibly subtle. Oh my goodness. you certainly simplified it. It’s gorgeous.